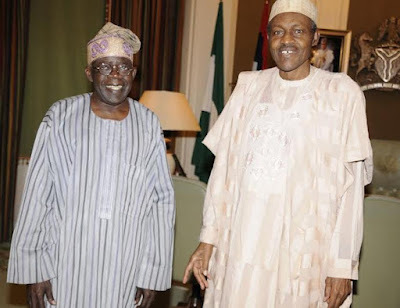 National leader of APC, Bola Tinubu has called on Nigerians to be patient with the Buhari led government saying that change can't come by magic. He added that change comes with planning. Tinubu said this after a meeting with President Buhari earlier today. "Excuse me! Let us calm now here. How long ago? May 29th was when this president was sworn in. It is an international norm all over the world, there is an honeymoon period, at least minimum of 100 days honeymoon. And you won’t allow honeymoon at all? You said change is not coming, change is not by magic it is driven by the people, the spirit and the character and the planning.